Yuki Shiraito works primarily in the field of political methodology. His research interests center on the development and applications of Bayesian statistical models and large-scale computational algorithms for data analysis. He has applied these quantitative methods to political science research including a survey experiment on public support for conflicting parties in civil war, heterogeneous effects of indiscriminate state violence, and the detection of text diffusion among a large set of legislative bills. 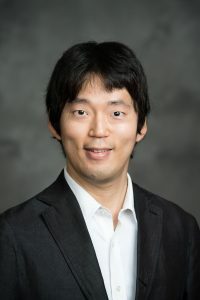 After completing his undergraduate education at the University of Tokyo, Yuki received his Ph.D. in Politics (2017) from Princeton University. Before joining the University of Michigan as an Assistant Professor in September 2018, he served as a Postdoctoral Fellow in the Program of Quantitative Social Science at Dartmouth College.